Location: Castlepollard, County Westmeath, Ireland. Notes: Tullynally Castle is a country house (also known as Pakenham Hall Castle) situated some 2 km from Castlepollard on the Coole village road in County Westmeath, Ireland. 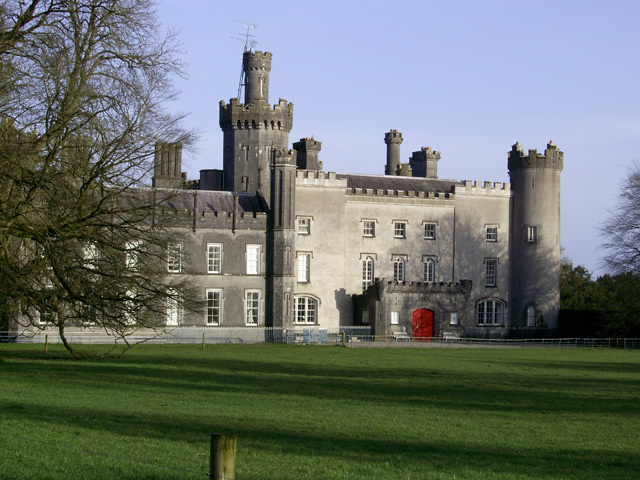 The gothic style building has over 120 rooms and has been home to the Pakenham family (now the Earls of Longford) for over 350 years, except for 32 years in the early 19th century when it belonged to the Ryder family. The house is surrounded by twelve acres of park land and gardens, including woodland gardens and walled gardens laid out in the early 19th century with a limestone grotto and ornamental lakes. In the 21st century a Chinese garden with a pagoda and a Tibetan garden of waterfalls and streams have been added. The site entrance from the public road is situated 1.5 km outside Castlepollard on the Granard road 20 km from Mullingar, 80 km from Dublin via the N4 or N3 roads. The grounds are open to the public.